Available February 7. Rated PG. Animated flicks like “Trolls” strive to hit that sweet spot where the kids and the adults can all have a good time. The creators of “Trolls” have managed just that with thus funny, irreverent and lovable comedy surrounding the happiest and most positive creatures ever to hit the big screen – the trolls. “Trolls” might not rise to the levels reached by “Shrek” or “The Lego Movie,” but it combines breathtaking animation with a smart script and some inspired music – making it a big winner. The inspired voice cast includes Anna Kendrick, Justin Timberlake, Russell Brand and James Corden. Available February 7. Rated PG-13. Comedy about a family getting together for the first time – at Thanksgiving – since the death of the family matriarch. “Almost Christmas” pushes all the buttons you’d expect – relationship issues, kid issues, job issues – so there are no real surprises. But the film is like a good meal – warm, funny and engaging, even if overly-familiar. Danny Glover does a commendable job as a man dealing his family for the first time without his beloved spouse at his side. Available February 14. Rated PG-13. Intelligent, thought-provoking film about the arrival of mysterious spacecraft all around the world. 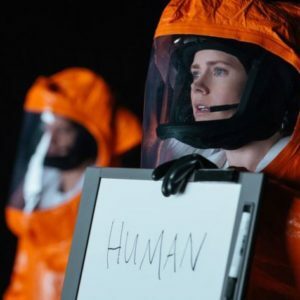 Amy Adams is outstanding as the language expert and codebreaker brought in to decipher the intentions of aliens before humanity dooms itself. 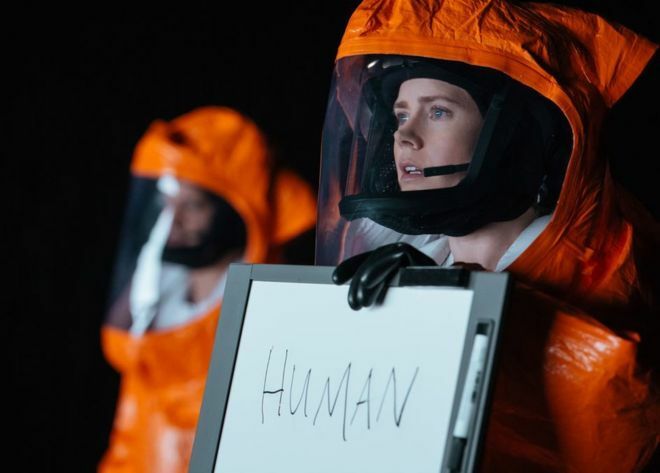 “Arrival” is an adult film – sort of a “Contact” for a new generation – smart and challenging – as well as tense, entertaining and enlightening. Jeremy Renner and Forest Whitaker co-star. “Arrival” has notched eight Academy Award nominations, including for Best Picture. Available February 14. Rated R.
Funny and poignant coming of age comedy about a teenage girl who’s life collapses after her best friend starts to date her brother. Hailee Steinfeld channels all the awkward and scarring and cringe-worthy moments of growing up into a knockout performance as a girl struggling to find some hope in a messed up world. It is an emotional, original and witty film buoyed by the fine cast, with includes Steinfeld, Haley Lu Richardson, Blake Jenner, Kyra Sedgwick and Woody Harrelson. Based on a true story, “Deepwater Horizon” is a first-rate disaster thriller surrounding the events of April 20, 2010, when an explosion rocked an oil rig in the Gulf of Mexico. Mark Wahlberg plays the engineer who must not only save himself, but those around him. “Deepwater Horizon” offers some great effects to go with a gripping tale. John Malkovich, Gina Rodriguez and Kurt Russell co-star.